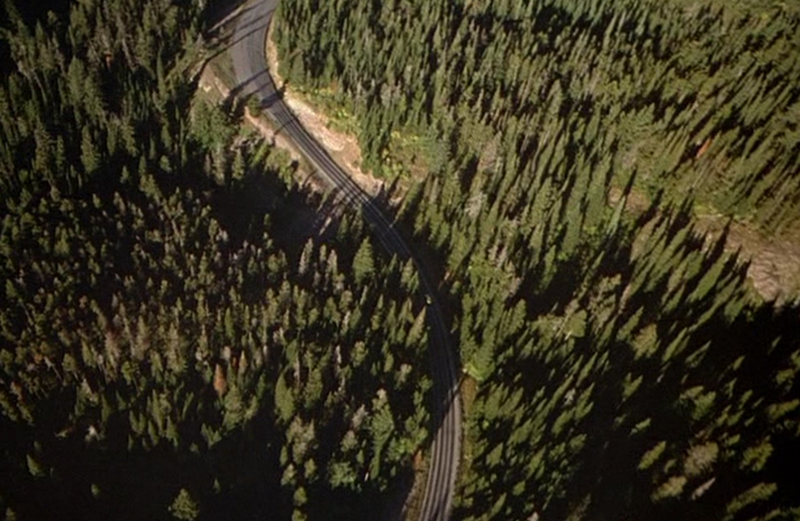 The opening shot of The Shining has the helicopter passing by Wild Goose Island, then continuing toward the cliff area where it will a couple shots later do a close pass over the beetle. At the end of the opening shot we have a crossfade to the beetle winding through forest on a serpentine stretch of road that is between The Narrows and the aforesaid cliff. 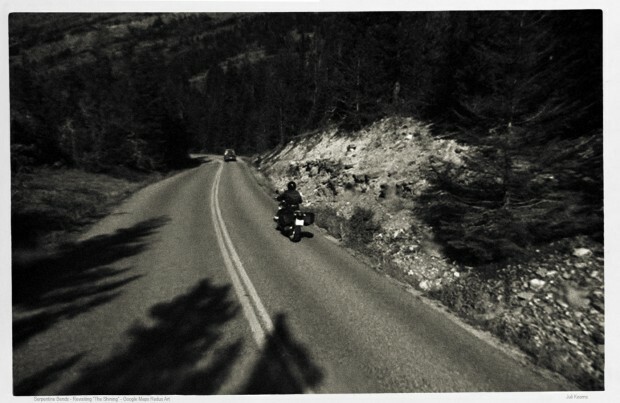 The motorcycle in the Google maps image is located in the upper 1/3 of the film image next to the right earth/stone bank. After all these years, the tree and earth line still looks very much the same.